The production end of the BMW M3 of the current generation (F80) for Europe has come to an end. To give the car a proper send off, BMW M and Individual teamed up with German entrepreneur Björn Schmidt to create a one-of-a-kind M3. The entrepreneur has secured his ideal birthday gift by ordering the last M3 unit that was delivered in Europe. The exclusive paint job in Frozen Dark Grey metallic immediately catches the eye. The Competition package, together with the standard carbon roof, make the appearance of the F80 M3 even more special. On closer inspection, the stripes in the colors of the M Division can be seen, which additionally enhance the left side of the carbon roof. The interior of the last BMW M3 F80 delivered in Europe is also definitely special. 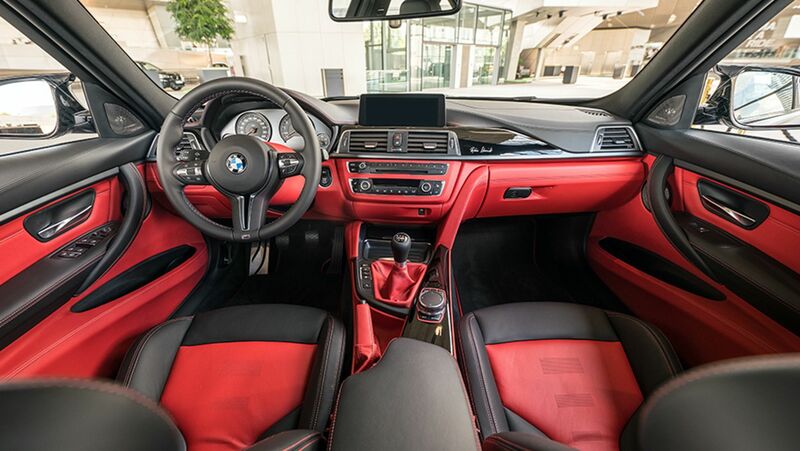 With the help of BMW Individual Manufaktur, a bi-color full leather interior in the colors black and Mugello Red was chosen by Schmidt. Like the carbon strut in the engine compartment, the interior trim in Piano Finish Black bears the signature of Björn Schmidt. 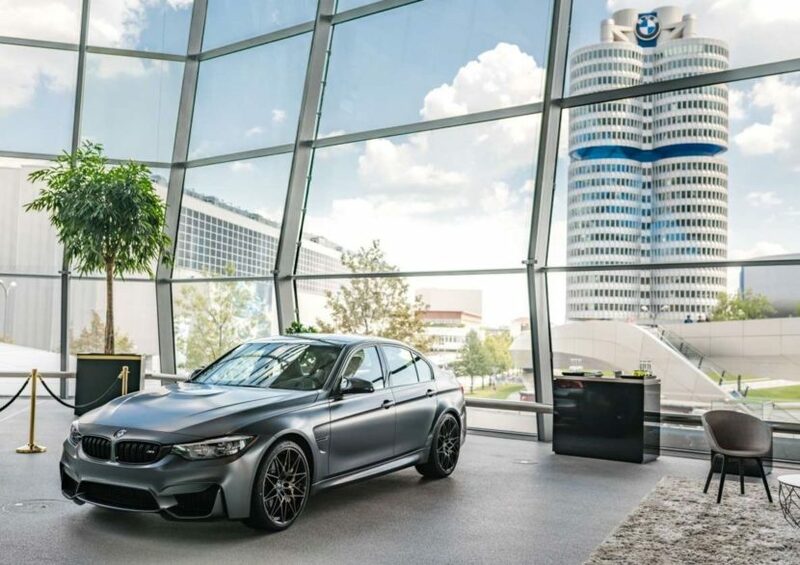 “The BMW M3 has always been an all-rounder for me, combining everyday life, holidays, work and family, racetrack and city traffic with sporty driving pleasure,” Schmidt says. The M3 also reminds me every time of my childhood dream and I can appreciate it even more to drive today such a fascinating car. 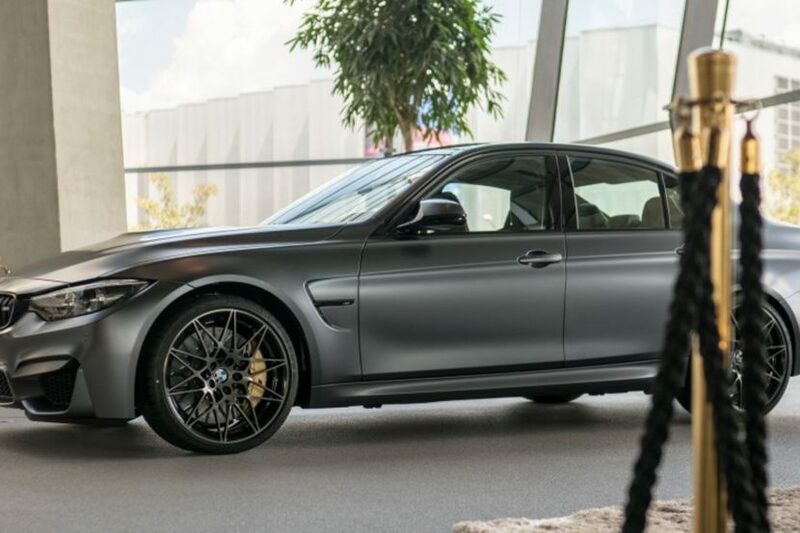 Purists should be especially pleased that the last European M3 was ordered with manual transmission, which is still unknown if it will live in the next generation G80 M3.